The Chinstrap is for those with a good head on their shoulders. It creates or emphasizes a strong jawline with a thin, half- to one-inch strip of hair that runs sideburn to sideburn. Grow your beard for one to two weeks to create consistent length. 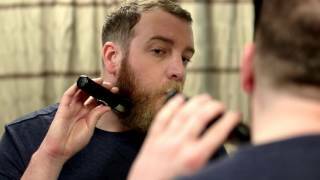 Using your Wahl® trimmer, crop the beard to a quarter-inch. 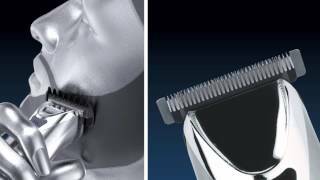 With the trimmer, carve a half-inch line straight down from your sideburns to the jawline. Be sure to keep the width consistent. Following the jawline, carve a half-inch line to the center of your chin on both sides of the face, creating one continuous strip from one sideburn to the other.